In a 73-18 vote, the House approved Joint Resolution 529, submitted by Rep. Susan Lynn, R-Mt. Juliet. 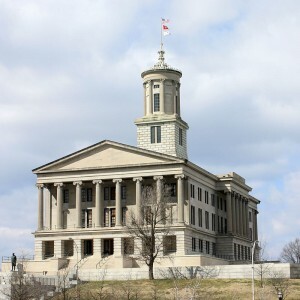 The resolution, which has no legislative weight, simply serves as a statement by lawmakers about their disagreement with the nullification of state constitutional amendments by the U.S. Supreme Court. “Be it resolved by the House of Representatives of the one hundred ninth general assembly of the state of Tennessee, the Senate concurring, that this body expresses its strong disagreement with the constitutional overreach in Obergefell v. Hodges that, in violation of the constitutional and judicially recognized principles of federalism and separation of powers, purports to allow federal courts to order or direct a state legislative body to affirmatively amend or replace a state statute,” it reads. The resolution also cites the dissenting remarks of Chief Justice John Roberts and the late Justice Antonin Scalia. The resolution was passed mainly along party lines, but with four Democrats voting in favor: Reps. John DeBerry Jr., Kevin Dunlap, Joe Pitts and John Mark Windle. As previously reported, Tennessee was one of the states whose constitutional amendment on marriage had been upheld by the federal court—until it reached the Supreme Court. “No one here claims that the states’ original definition of marriage was unconstitutional when enacted. The plaintiffs’ claim is that the states have acted irrationally in standing by the traditional definition in the face of changing social mores,” wrote Judge Jeffrey Sutton for the 6th Circuit Court of Appeals last November. Tennessee’s Marriage Protection Amendment was passed in 2006 with the approval of 81 percent of voters. Lynn’s resolution is expected to pass the Tennessee Senate.